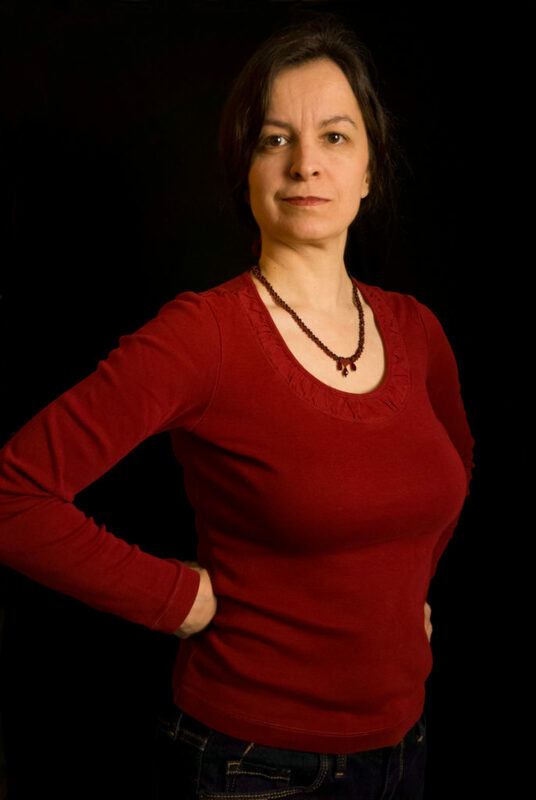 The Carmilla Necklace worn with a casual work outfit: a simple fitted red long-sleeved top with round scoop neckline, and blue dark-wash jeans. 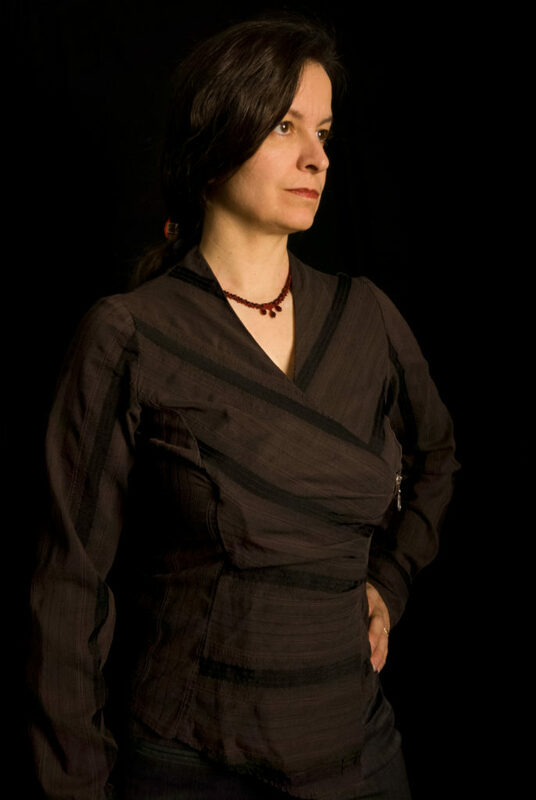 The Carmilla Necklace worn with a Business Casual work outfit: A chocolate brown, tone-in-tone striped wrap blouse worn over the grey pin-striped slacks from the Business Professional suit below. 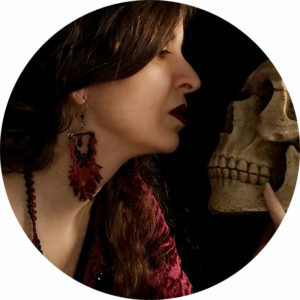 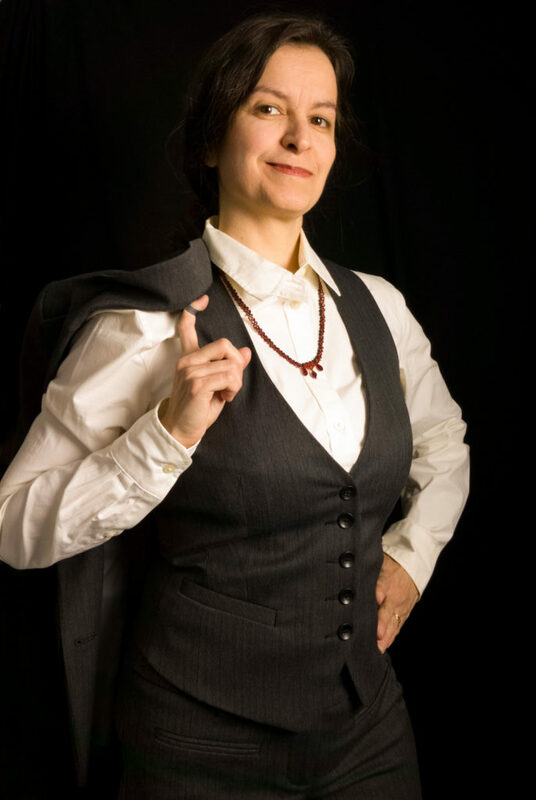 The Carmilla Necklace worn with a Business Professional work outfit: A white button-up blouse under a 3-piece suit in a warm pin-striped grey. 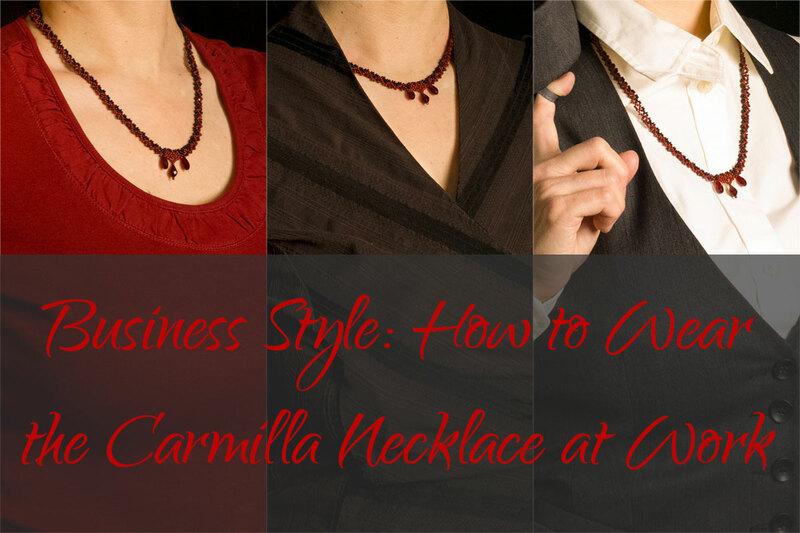 As you can see, the Carmilla Necklace is a particularly easy fit with either of these dress codes—and its adjustable length can be worn with round or V-neck lines, to boot! 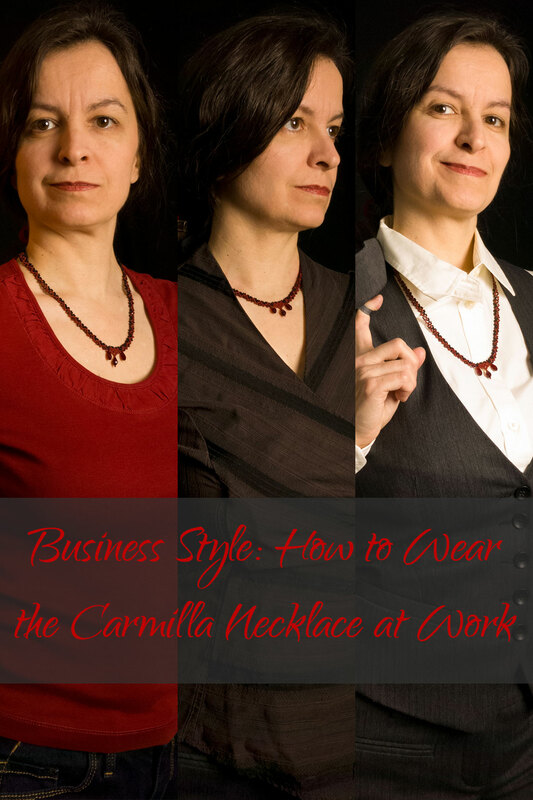 I’ll add more Business Style posts for my other jewelry soon, so check back regularly!